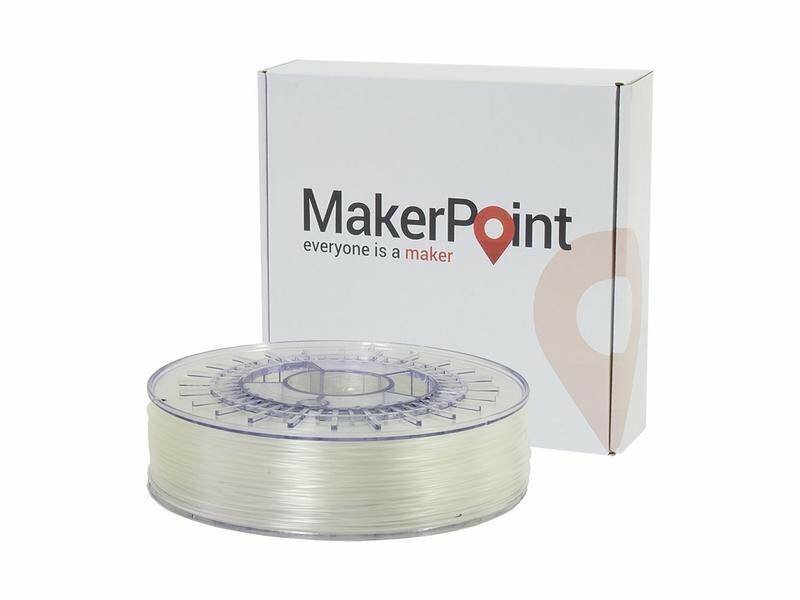 MakerPoint PP is our easy to print general purpose low-density Polypropylene. PP has been developed for optical clarity while maintaining mechanical performance and a superb layer adhesion. Polypropylenes high stretch ability, decent flexibility and chemical/fatigue resistance makes it suitable for a variety of household articles and containers. PP can also be used for engineering articles such as living-hinges and snap-fit fastener materials. Lastly PP can be used to print dishwasher & microwave safe objects. PP is a cost-effective all round filament suitable for a broad variety of needs.